Are you looking for a new house style for your new project? Perhaps you should consider the Prairie house style. 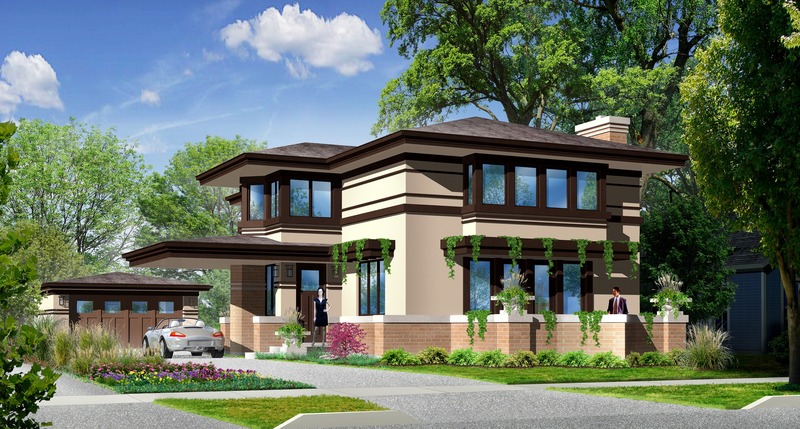 There are two styles of the Prairie house design. These two kinds are boxy style and low-slung style. Boxy Prairie styles are symmetrical while the low-slung is balanced. The most important thing about the Prairie house design is its characteristic open floor plan design. Houses with open floor plans normally have a single room which is both a living room and kitchen. Prairie Houses started to emerge from 1900, championed by a number of architects like Frank Lloyd Wright. These architects created the Arts and Crafts movement with an emphasis on nature, craftsmanship, and simplicity. The Prairie movement’s main aim was to establish non-derivative architectural theories into the American architectural psyche. They also employed modern elements like flat planes and stylized ornamentation. Prairie houses focus on the horizontal rather than the vertical. They spread out over their lots, featuring flat or shallow hipped roof lines, bands of stone, overhanging eaves and rows of windows. Prairie houses are built with thin Roman bricks which intensify the effect and cantilevers which extend the horizontal line without vertical support. Motif exploration like wood carving, plaster, art glass, and other elements.